Proposed Public Space Protection Orders (PSPOs) in Barnsley could criminalise the most vulnerable people in society and lead to greater marginalisation. Barnsley Council have recently launched a public consultation into PSPOs. These are broad powers which allow councils to criminalise particular, non-criminal activities taking place within a specified area. Unfortunately, we have frequently seen them used against the most vulnerable in our society, mostly the homeless and the young. We at Barnsley Green Party oppose their introduction, as the definitions of what can be interpreted as a criminal or anti-social activity are too vague and carry disproportionately punitive sanctions. PSPOs will effectively criminalise the poorest people in our society and not tackle underlying issues, or the causes of the activities that they seek to ban. The way in which the questions in the consultation are worded is a cause for concern. We find questions such as, “how safe to you feel in the shaded area of Barnsley on the map?” and, “do you support the use of a PSPO to control the way that people behave in public spaces…” to be wildly open to interpretation. For example, how do you define ‘erratic behaviour’ and in what form would this kind of behaviour constitute an offense? The questions are very much angled towards playing on the fears of the respondent regarding alcohol and substance consumption (although strangely not alcohol consumed on licenced premises), leading the respondent to give the answers that the council wants to receive in order to create consent for what could be the introduction of vague and arbitrary laws, targeted against a certain section of society. 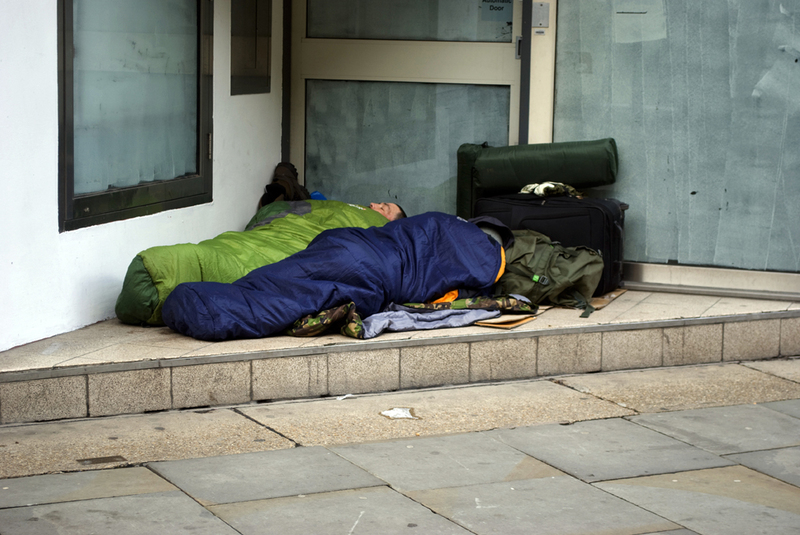 The wider effect could be to ban rough sleepers from the town centre, as other councils have attempted recently. As the problem of homelessness grows, PSPOs are designed to keep the homeless out of sight and would serve to increase the vulnerability of an already vulnerable group. PSPOs could also curtail our civil liberties. This means that Barnsley residents may no longer be able to protest against council or government decisions, or campaign to promote a cause without fear of being criminalised. Effectively declaring protest and free speech in the town centre as anti-social. We are also concerned that PSPOs will be used to discriminate against people of different ethnic or religious backgrounds and against people of certain age groups. In Oxford, the council passed a PSPO that prohibits people under the age of 21 from entering a specific tower block, Foresters Tower. Bassetlaw District Council has created a PSPO that prohibits “under 16 year olds … gathering in groups of three or more”. All that PSPOs will achieve is to move what the council defines as problem behaviour out of the town centre and in to areas which are less well light and policed. They could lead to our residential areas feeling less safe and make no attempt to tackle underlying causes of drug and alcohol consumption. Punitive fines will hit those least likely to be able to afford them and simply fast-track vulnerable people into the criminal justice system, rather than divert them away from it. At a time of rising homelessness and poverty, we should be helping people rather than criminalising them based on their economic circumstances. It is vitally important that people participate in this consultation by the end of January, whether they are residents, visitors, tourists, buskers or people who care about civic freedoms, public space and social justice. The more people who take part in this survey and express their constructive opposition to these damaging proposals, the more chance we have of ensuring that they do not go through. The consultation will take between 10/20 minutes to complete depending upon the amount of detail you go into it. Your response will make a big difference to this campaign, so please find the time to do it if you can. The on-line consultation can be found here.